Both the kind that grows on trees AND doesn’t. There are a few simple and inexpensive “green” things you can do in your house which will make you feel warm and fuzzy inside while you save the planet and some dough. 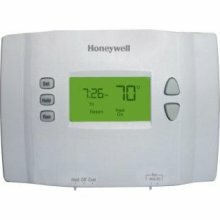 A programmable thermostat can save your a few hundred buckaroos every year, with models starting at about $30. We just installed 2 in our house, and I’m going to show you how. First you’ll need to decide what kind of stat (that’s what all the cool kids say) you want. If you check them out at the store, you’ll notice several types labeled as 5-2 or 5-1-1 or even a 7 day. 7 day: A separate program for every day of the week. Take a minute to think about the schedules you keep, and decide which one is best for you. I should add that as you go down the list, the price increases. For most people (including us), I’d imagine the simple 5-2 will be sufficient. 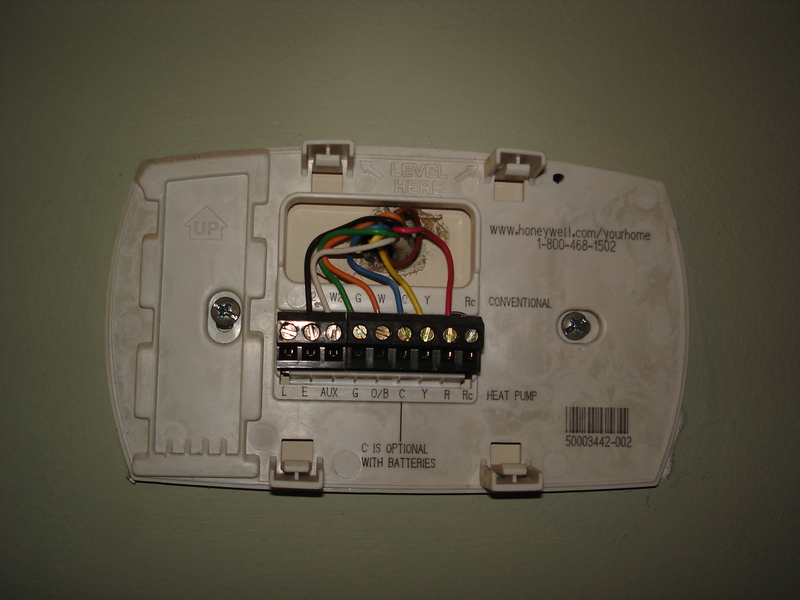 You’ll also need to know if your HVAC system has emergency or auxiliary heating. 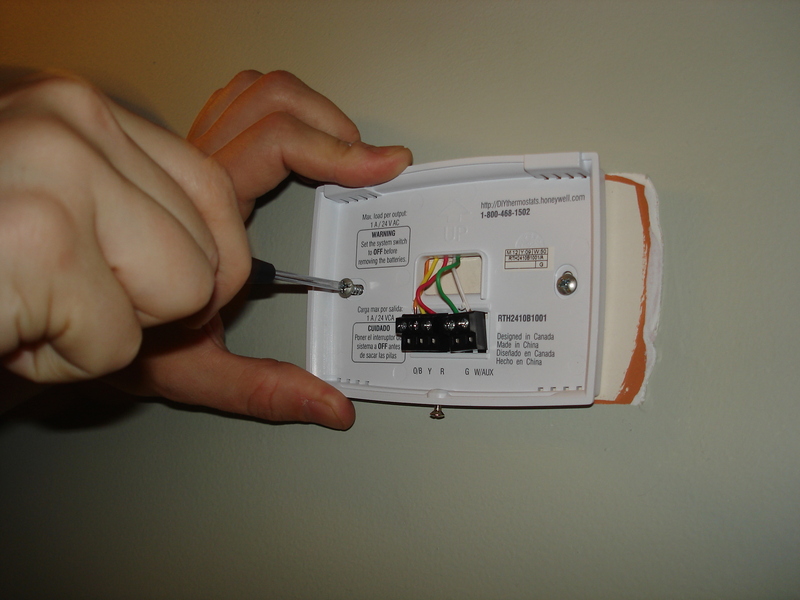 Check your manual, or even your existing thermostat to find out. We have auxiliary heat, not emergency. The packaging of the stat will tell you if it’s compatible with one or both of those options. Look carefully, because we bought the wrong one initially. Since we already had a Honeywell, we ultimately ended with another Honeywell- the RTH2300B, 5-2 model which is compatible with auxiliary heat. 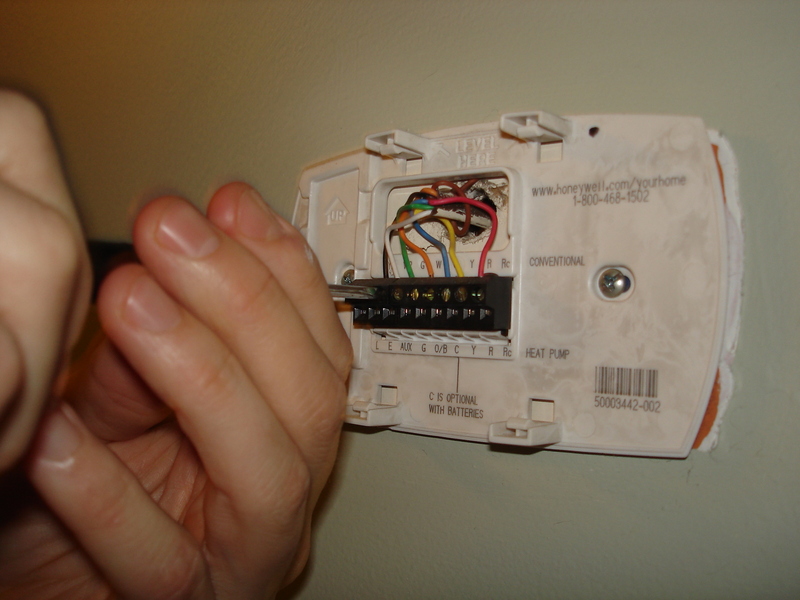 To install a new thermostat, first take the face plate off your existing model. Take note of the wiring, it’s likely color coded, but jot down the positions just in case. Then, remove the wires by loosening the small screws. Loosen the screws holding the base to the wall and slip it off. 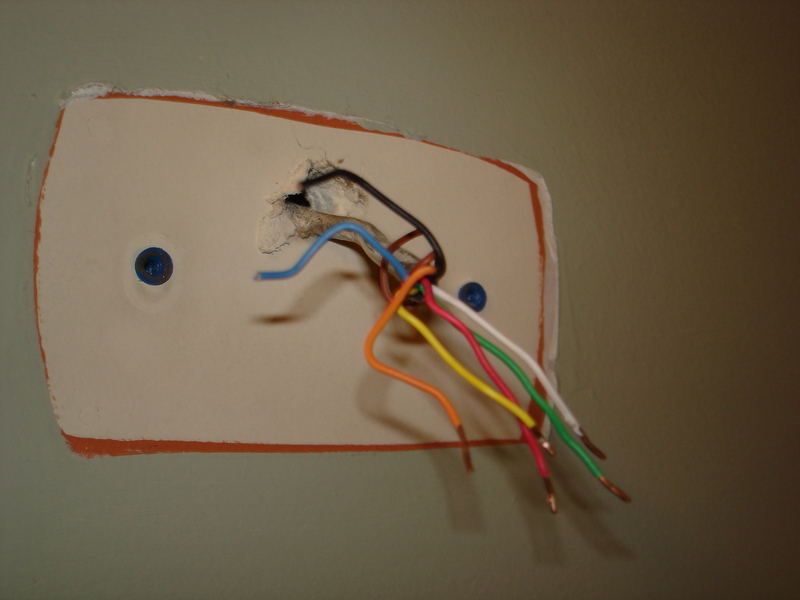 Install the new base over the wires and attach it to the wall. 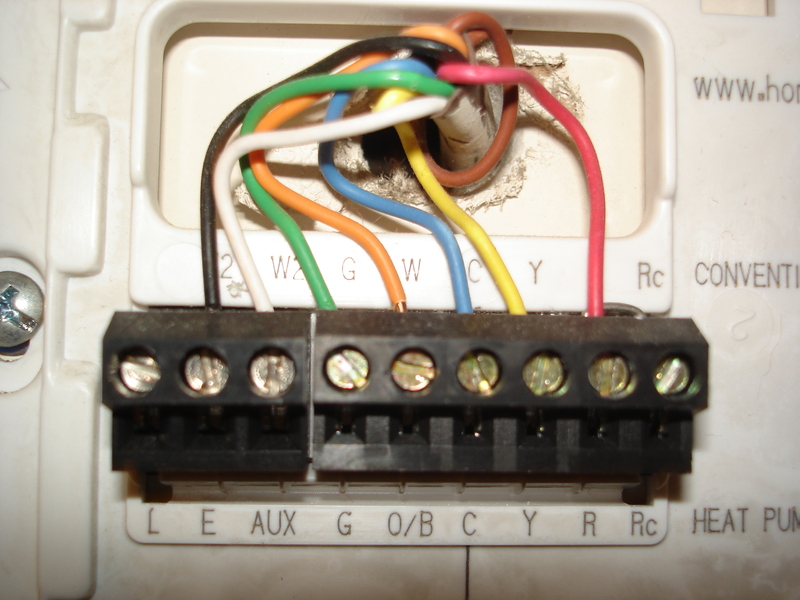 Reattach the wires in their appropriate location (follow the wiring diagram provided with your stat if needed). Add the cover, and you’re all set to go! Most of these come with a built in default program, so just set the time/day and try it out for awhile. 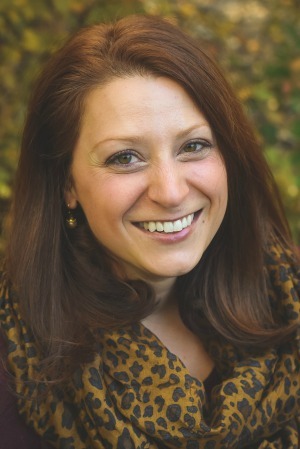 If you find that you need to make adjustments to the program, check out your operating manual for the how-to. 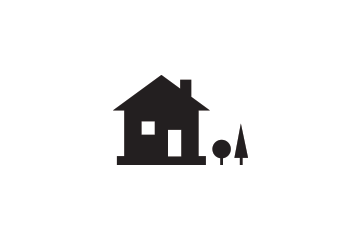 Take comfort in knowing you added value to your home while saving some green!